This collection of photo elements graphics is perfect for all your project needs. This set includes 9 different sets of clip art graphics of scalloped lace photo frames, borders, photo corners, titles, overlays. Great collection for making scrapbook pages, cards, labels, tags, invitations, and other printables. 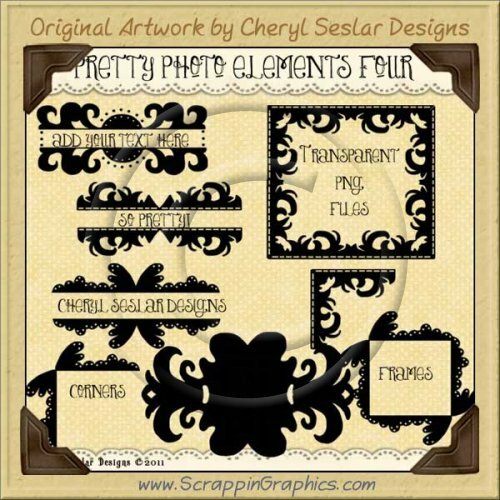 This collection and 6 others are part of Designer Elements Limited Pro Clip Art Graphics Collection . Click here If you would like to purchase this and the rest of clip art in this collection.